Hitman developer Io Interactive has announced a new holiday treat which is meant to entice new players into giving the game a try. The Hitman Holiday Pack grants full free access to the entire first episode of the game, the "Showstopper" episode which is set in Paris, allowing those who have yet to try the latest entry in the Hitman series to sample a large portion of what the game has to offer. 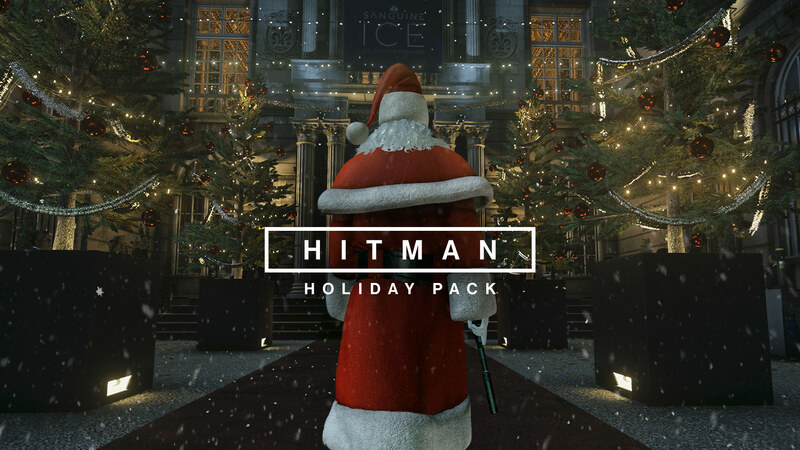 According to this announcement post on Io’s website, the Hitman Holiday Pack is available as of today, December 15th, on all platforms (PC, Xbox One, and PlayStation 4) and is entirely free to download. Those who download the Hitman Holiday Pack will be given full access to the first two major chapters in Hitman’s episodic narrative, the two-mission ICA Facility prologue chapter and the Showstopper Paris chapter. Also, any reactivated Elusive Targets who are located in the Paris location will be available to Hitman Holiday Pack owners, and since last year’s special "Holiday Hoarders" mission (a fun bonus mission in which Agent 47 is basically tasked with murdering the two crooks from the movie Home Alone) is set in the Paris location, Holiday Pack owners get access to that too along with the mission’s unique Secret Santa Challenge Pack. Best of all, if a Hitman Holiday Pack owner decides to upgrade to the full game at a later point, they’ll retain all the progress they made. Interested fans should act fast though since the Holiday Pack will only be available until January 5th. Today also marks the start date for the reactivation of Hitman’s third Elusive Target, The Prince, who is found in the game’s Sapienza location. The Prince will be sticking around for the next 10 days for anyone who wants to try and take him out.